PurrForm simply pure and natural recipes are based on the company’s philosophy that a cat is an obligate carnivore and therefore should be fed on a natural raw meat and bone with no preservatives or any palatant enhancements. PurrForm simply pure and natural complete raw meat and bone diet now comes in a bigger size to accommodate breeder’s needs. Feeding PurrForm raw complete diet is easy and convenient to thaw and serve. It is a complete, balanced and nutritious diet made with natural ingredients and can be solely fed to your cats every day without any additional other wet or dry food. PurrForm raw food diet is packed in individual 450 g tubs making it an easier and more cost effective way to serve a multi cat household. PurrForm raw diet contains all necessary vitamins, amino acids, minerals and trace elements that your cat requires on a daily basis to live a healthy and contented life. PurrForm recipes are grain-free with high meat, containing only what a cat would eat in the wild. All our recipes are made with 100% human grade meat which includes raw meat, offal and finely ground bones and all our meats are carefully selected to give your cat the meal that it deserves. 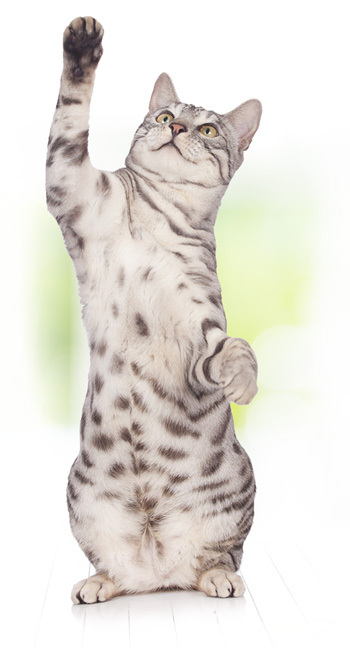 We believe that a cat fed a diet consisting of protein leads a longer and healthier life. The facts are that rabbit and chicken meat are the most nutritious meats available. Both meats are high in protein and have only 8% to 10% bone. We feel that all breeders should look at the composition when buying food for their pets and make their own judgement on the nutritional content. We, on the other hand, are happy to tell you what our simply pure and natural complete diet consists of. Feeding your cat a raw meat and bone diet could have many benefits including a softer and shinier coat, increased energy, greater alertness and better oral health. Due to the high digestibility of the product the cats will eat less and most of what they eat will be utilised by their bodies. This mean they will produce smaller more compact stools with little odour. In addition, there will be relatively low defecation frequencies and bowel movements that are regular and consistent. Foods that are not highly digestible may cause excessive gas (flatulence), loose stools, or diarrhea. In general, high quality ingredients are more digestible than those of low quality. What’s the cost? While it’s true that manufacturers can slap a high price on a low quality food, the opposite does not hold. Highly-digestible, quality ingredients do cost more, so don’t be tempted by deals that appear too good to be true – because they probably are. “We use human grade food, and we do not mix our meat with other cheap meats or ingredients”.